Our company holds expertise in offering premium quality Hops Flower Extracts to our valuable customers. Hops Extract CO2 Hops Extrac alfa acid: 30%, 40% 50% Isomerized hops extract alfa acid: 30%, 40% 50% CO2 Hop Extract: CO2 Hop Extract is a pure resin extract of hops containing hop oils, beta acids and alpha acids. The extraction process concentrates the soft resin portion of hops to deliver clean bitterness and hop aroma. Hops Extract, natural herbal and ayurvedic products provided by Crystal Pharma. 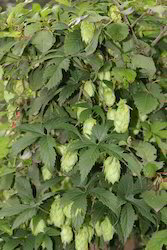 Hops are the female flower clusters (commonly called seed cones or strobiles), of a hop species, Humulus Lupulus. They are used primarily as a flavoring and stability agent in , to which they impart a bitter, tangy flavor, though hops are also used for various purposes in other beverages and herbal medicine. 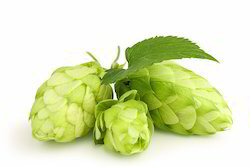 We are one of the prominent importers of Hops Extractswhich is used in pharmaceutical industry. This anti-oxidant is also known as Humulus lupulus L. in Latin. Our quaklity extract finds application in the ayurvedic industry. Hps contains variety of essential acids, minerals, vitamins and other essential nutrients that are very useful for our daily life working. The essential oils found in hops are myrcene, caryophyllene, farnesene and humulene. The oils have several potent therapeutic properties including anti-inflammatory and antiseptic actions. Hops is used for anxiety, inability to sleep (insomnia) and other sleep disorders, restlessness, tension, excitability, attention deficit-hyperactivity disorder (ADHD), nervousness, and irritability. It is also used to improve appetite, increase urine flow, start the flow of breast milk, as a bitter tonic, and for indigestion.